Considering purchasing your child a computer? Interested in a Chromebook or Dell Computer? If so, you can purchase a computer through the Dell PTA Partner Program and benefit Heritage High School at the same time. This program allows parents, students, friends, family and employees of the school to receive special pricing off Dell products. 5% of Sales go back to Heritage High School. Click here to purchase discounted Dell Chromebooks, computers, and accessories. The Heritage High School PTSA would like to extend its heartfelt appreciation to Wells Fargo and Kohl's for awarding us to corporate grants. These two grants will help fund... Read More. 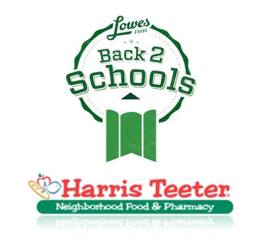 Well it is that time of year to make sure that you re-link your rewards card to help support your school. If you have not linked to Heritage High School before, why not do it now. We have provided a little assistance to help make this easier and less painless. Just click on the.... Read More.